Gestión de obras en envolventes metálicas (cubiertas y fachadas). - Conocimientos Informáticos: PAQUETE OFFICE, AUTOCAD, SIDDEX. Experiencia: Experiencia mínima 5 años en puesto similar. - Preferiblemente residencia en Valencia. - Seguimiento y aplicación del Plan de Obra. - Control en la gestión de los materiales y su puesta en obra. - Recepción de los materiales. - Control económico de la obra. - Velar por la aplicación del PSS. - Participar en las reuniones en obra. - Aplicar las instrucciones de trabajo. - Gestión del control de calidad en obra. - Detectar no conformidades y emitir informes y aplicar las medidas para su resolución. - Control y seguimiento planning de obra. ¿Encajas en el perfil? Si deseas trabajar con nosotros adjunta tu CV en el formulario de más abajo. The owner of the Intellectual Property, Industrial Property and the data controller and data treatment collected through this website is LYM, S.A.U. lymsa.es / lym.es is the LYMSA website, through which it offers to the Internet users information for the company and its products. The content published on this website is provided for information only and in no case imply any kind of contractual validity. LYMSA is not responsible for the misuse by users of the contents of this website, and it reserves the right to seek compensation for damages caused by its inappropriate or illegal use of the same legal action. It is absolutely forbidden to use the images LYMSA published on its website without the express written consent by the company. 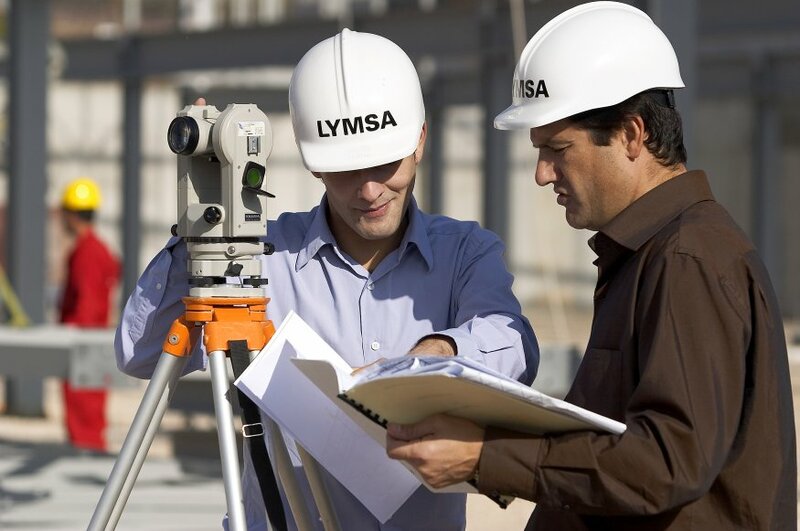 LYMSA supports the dissemination of the contents of this website through social media and by the method of "sharing" information that the company provides through them, as well as its website. Users of social networks have every right to share this information, but they are in no case allowed to use the pictures published on the website "separate" from the rest of the publication. LYMSA has the right to deny the access to the website at any time to any user.